Superior Auto Body Saskatoon has been in business since 1961, and we have been an SGI ELITE Autobody shop and have been SGI accredited since 1982. There are many reasons we have so many loyal longstanding clients from all over the city, but mostly it is the small, personal touches that we offer to people who have been unfortunate enough to require our services. We offer newer model courtesy cars and vans for our clients..and to help out we will also pick up your vehicle and take it to your SGI appointment for you and deliver the courtesy car to you at home. Superior Auto Body is a TRUSTED SASKATOON AUTO BODY shop…you will not regret choosing us! In our latest blog, we share some tips from SGI about avoiding wildlife collisions in Saskatchewan.
. Part of living in Saskatchewan means dealing with Wildlife on and around the roads. There is a serious human cost to this issue – on average 327 people are injured and 4 are killed each year by wildlife collisions. 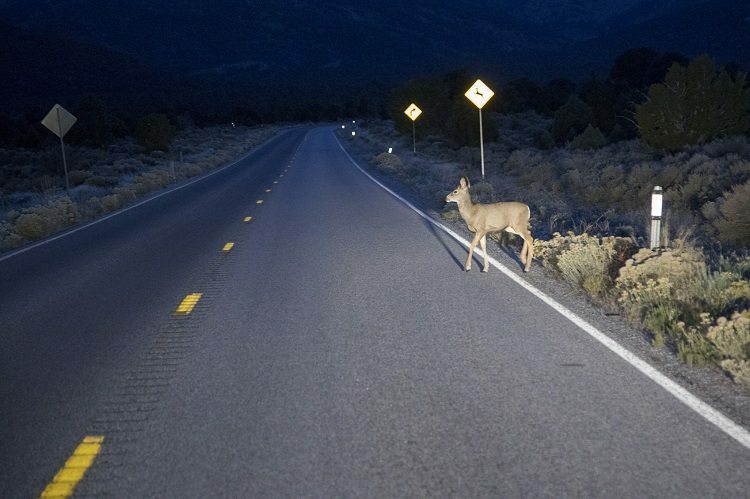 While encountering wildlife is inevitable, especially as we travel to and from lake land there are some ways drivers can reduce their risk of a collision with our wildlife. Scan from shoulder to shoulder while driving to check for animals approaching the road. If you see an animal on the side of the road, slow down and pass by cautiously. If you encounter an animal that has ventured on the road, slow down under control and honk your horn to attempt to scare the wildlife away. Avoiding slamming on your brakes and swerving, as this may cause you to lose control and veer into a ditch or oncoming traffic. As with most traffic safety tips, maintaining a safe speed for the weather conditions is important for avoiding wildlife collisions. 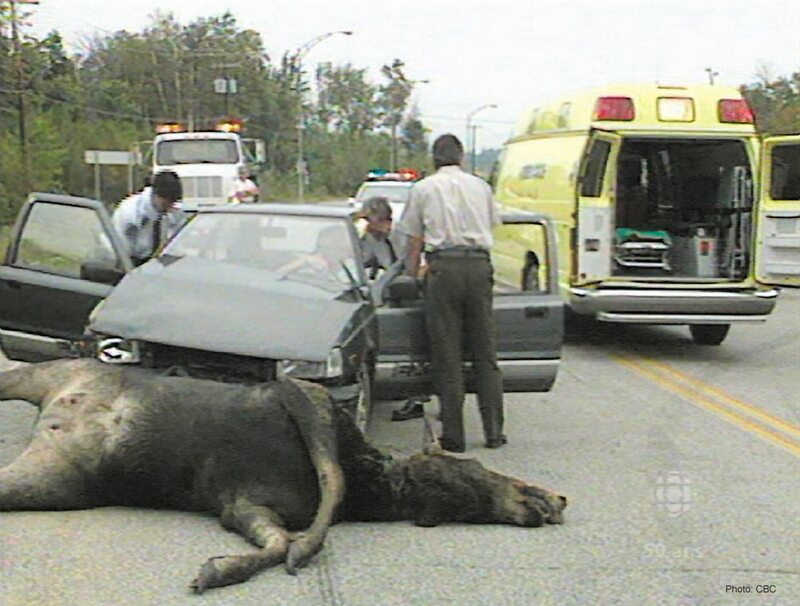 Sometimes collisions with wildlife are unavoidable even if you take every precaution and remain alert at the wheel. In these circumstances, try to remain calm. Aim your vehicle at the spot where the animal came from, not where it’s going.